we offer you a convenient way to compare stugeron prices from the various online pharmacies, and then shop at the one you feel presents the best value! we have the best prices for stugeron to make shopping easier for you. 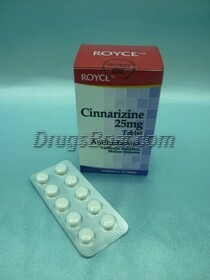 it will give you a stugeron generic names, cinnarizine trade names and many other good details about generic cinnarizine. 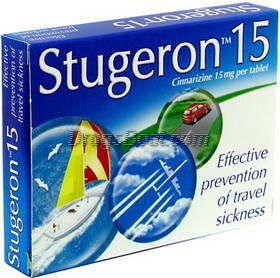 best cinnarizine prices getting a high position on the our listing and you can buy stugeron or cinnarizine online without a prescription at the best prices. Migrant farm workers who harvest tobacco are at risk for developing "green tobacco sickness," or nicotine poisoning. According to a new report in the July issue of the Journal of Occupational and Environmental Medicine, about one-fourth of tobacco farm workers will develop green tobacco sickness symptoms, and this number may underestimate the true frequency of the illness. Green tobacco sickness (GTS) is an illness that affects workers involved in the cultivation and harvesting of tobacco plants. GTS is caused by acute nicotine poisoning, which is caused by nicotine from fresh green tobacco being absorbed through the skin. Common symptoms of GTS are dizziness, headache, nausea, and vomiting, and may also include more severe symptoms like abdominal cramps, prostration, and difficulty breathing. The effects of GTS are immediate and generally self-limiting, although severe effects may occur, which can result in dehydration and the need for medical treatment. Thomas A. Arcury, Ph.D., and colleagues from Wake Forest University interviewed 182 migrant farm workers during the tobacco harvest season in North Carolina to determine if they had experienced GTS symptoms. Participants were interviewed up to five times at biweekly intervals in 1999. Questions included hours worked with tobacco and type of work performed, possible risk factors encountered, and symptoms experienced. Further, information was obtained for alcohol and tobacco use, actions taken to prevent GTS, and the use of health services. The researchers found that 24 percent of the workers developed GTS symptoms at some point during the harvest. For every 100 days of tobacco work, these individuals had GTS symptoms for an average of 1.8 days. Those who had worked with tobacco for 5 or more years had a significantly lower number of GTS days (0.87 days) compared to those who had worked in tobacco for 2 to 4 years (2.3 days), and compared to those who were in their first year of tobacco work (2.4 days). The reason for this effect is unclear, though the authors suggest that perhaps "through experience in working with tobacco, the individual worker learns how to avoid the causes of this occupational illness." The type of work performed had the strongest association with the number of GTS days -- workers who had more contact with fresh tobacco had less GTS days. Those who had done priming (leaf picking) had 4.04 GTS days, those who primed and transferred tobacco to the barn for curing had 2.5 days, and those who topped (cut the plant flower) had 2.5 days. Workers who had only transferred tobacco had 0.62 days, while those who had been involved in other activities had 0.24 days. Wearing wet clothing significantly increased the number of GTS days a worker experienced -- those who wore wet clothing (caused by early morning dew or rain) for 25 percent or more of the working time had nearly twice as many GTS days than those who wore wet clothing for less than 25 percent of the time. Preventive measures such as changing wet clothing or wearing protective clothing were not effective. The authors suggest that it could be that workers did not wear the protective clothing consistently. half -- those who did not use tobacco had 2.39 GTS days, while those who did had 1.18 GTS days. The authors explain that circulating nicotine in the blood can block further nicotine absorption through the skin. According to the authors, the estimated 24 percent of workers who experienced GTS symptoms may be lower than the actual rate -- tobacco harvesting in North Carolina continued for more than a month after the interviews ceased, and on many occasions, workers became ill and left the worksite before they could be interviewed. "These results indicate that those who harvest tobacco are at great risk for GTS," state the authors. They conclude, "More effort must be directed toward preventing this occupational illness that affects workers who have little control over workplace safety."